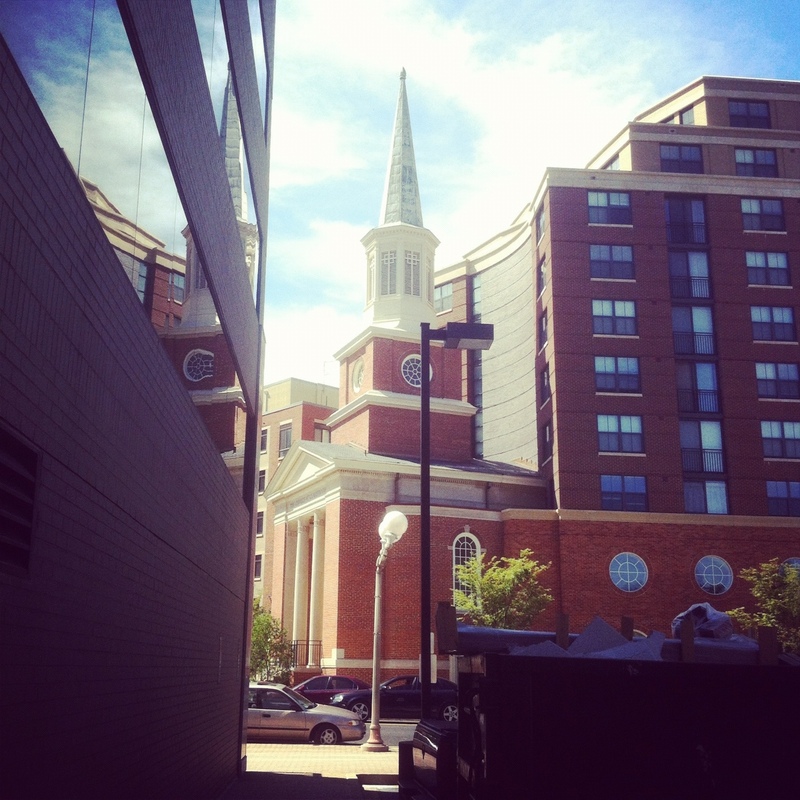 I went to Clarendon, VA today doing some Apartment hunting a snapped this shot on the way out of the parking garage. I loved how you could see the reflection of the church in the side of the building. Clarendon is a beautiful area. The apartments are seriously over priced but I would love to live there. Happy 4th Anniversary to Studio Eingana!